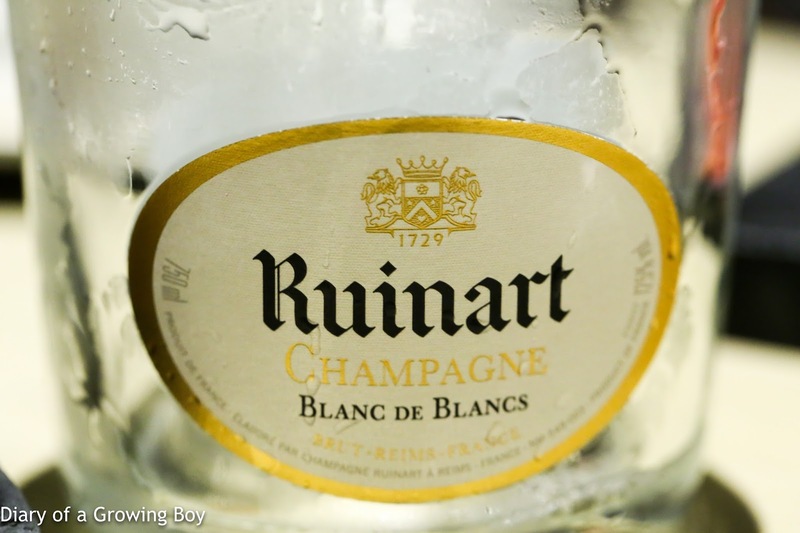 Ruinart Blanc de Blancs - riper and sweeter on the palate than expected. Toasty nose. 2008 Veuve Clicquot La Grande Dame - corked. 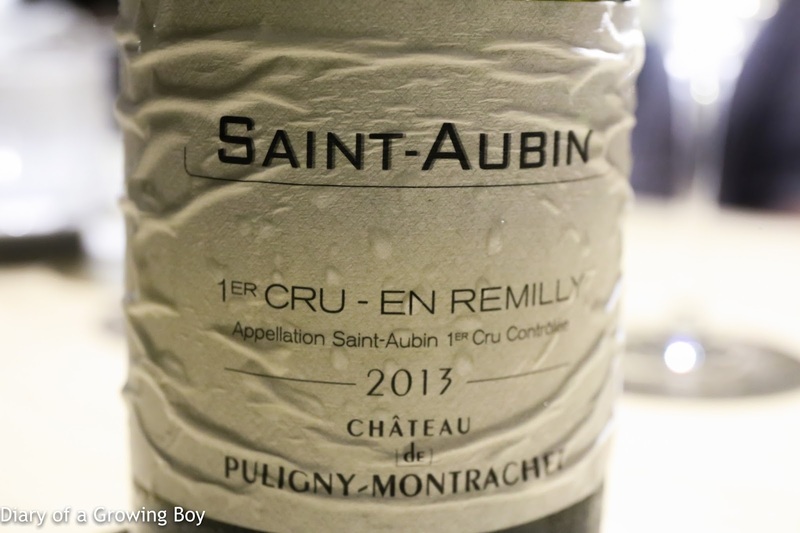 2013 Château de Puligny-Montrachet Saint-Aubin 1er Cru En Remilly - lots of toasty oak in the nose, and fairly dry on the attack. 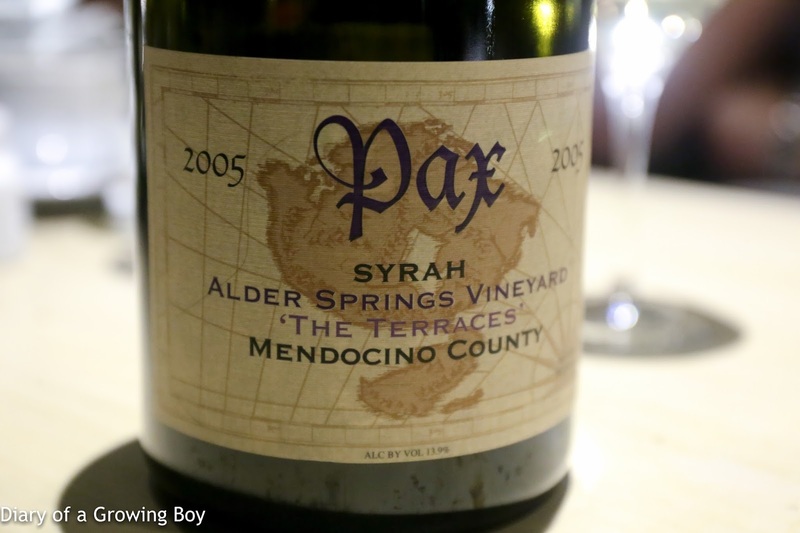 2005 Pax Syrah Alder Springs Vineyard The Terraces, from magnum - very sweet on the nose with cedar and minty notes. A little jammy after 2 hours. Later on showed floral and almost 'soapy' notes.